Are you looking for an app that downloads videos from YouTube?Then you are the right place.Yes, this app lets you download YouTube videos.Previously when you want to download YouTube videos you should download Vidmate or other apps.But now Google itself introduced an app for downloading YouTube videos.YouTube Go app lets you download YouTube videos of different quality. 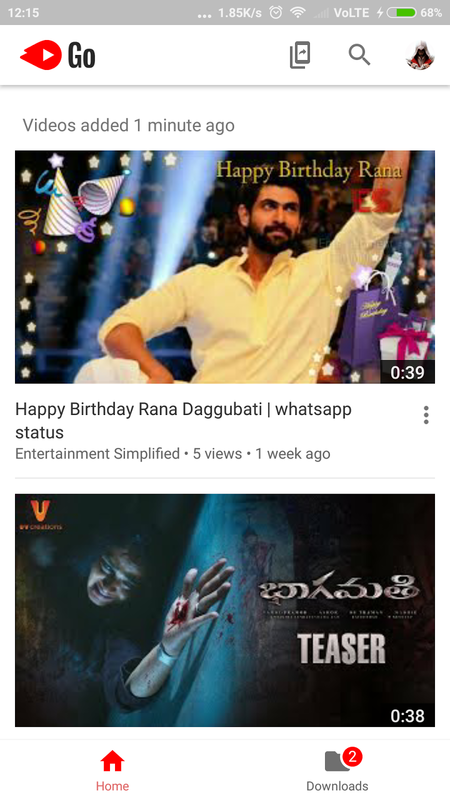 Home Screen of YouTube Go looks like this. 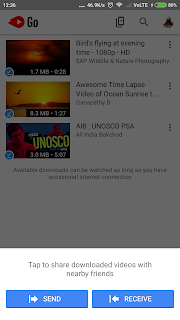 When you touch on the video you want to download one pop up will come like this. 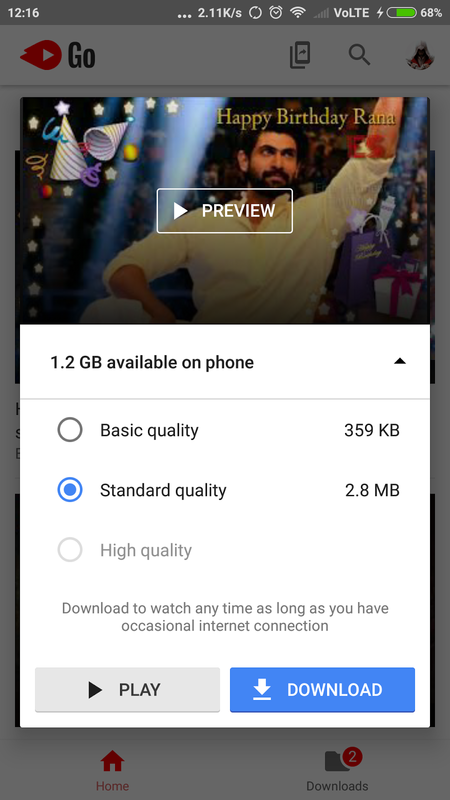 You can select whichever the quality you want and click on download.If you want to see the video is what you want to download click on play it will be played and then you can download after that. 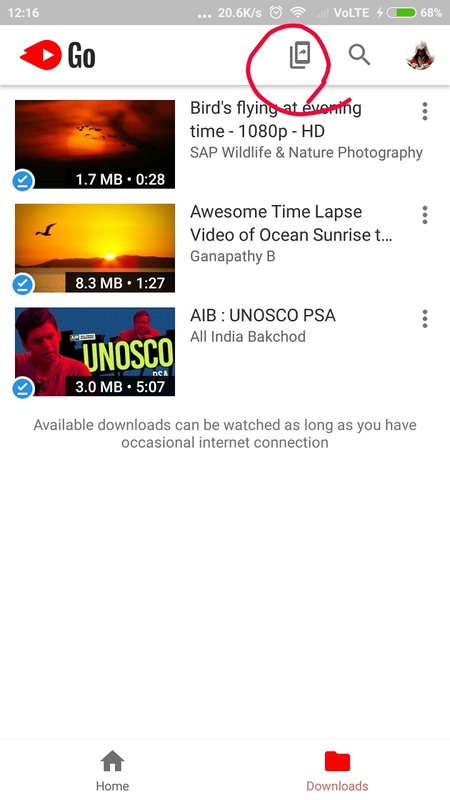 All your downloaded videos will appear here. one more best option on YouTube Go app is you can share or receive the downloaded videos from this app itself. If you want to share or receive the videos which you downloaded.Click on share or receive option at the top of the app. When you click on share then send and receive options will appear.When you click on send or receive it will turn on Bluetooth to send or receive the files.